On January 6, 2018 the abbatial community of the Archabbey of Pannonhalma elected Prior Cirill Tamás Hortobágyi, O.S.B. as their new archabbot. 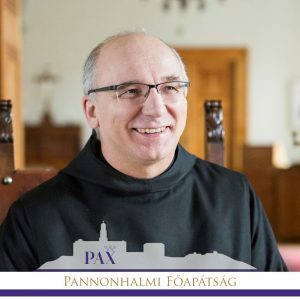 TODAY, February 16, the Holy Father has accepted the election and appointed Abbot Cirill as Archabbot of the Territorial Abbey of Pannonhalma, Hungary. He succeeds Bishop Imre Asztrik Várszegi, O.S.B. as Ordinary Archabbot of Pannonhalma. Archabbot Cirill was born on 22 February 1959. He entered the abbey taking the habit on 21 August 1977. Having made his first profession on 6 August 1981 and then ordained priest on 15 August 1985. He has served the community in a variety of positions. The abbatial blessing will take place 21 March 2018. Archabbot Cyril also serves as the Abbot President of the Hungarian Benedictine Congregation.